Eyelash extensions are a girl’s best friend, but if you’re not being careful it can be a real nightmare for your eyes as well. There are risks that come with falsies or fake lashes, including an allergic reaction to the adhesive or glue used to attach them to your natural lashes. Eventually, there could also be an erosion of the inner surface of your eyelid and permanent damage to the lashes. But we’re not asking you to panic here. You can use these fake lashes with care and utmost attention for your safety and wellbeing. One way is to remove them properly before going to bed, as well as going for high-quality self-applied or professional products. Allergic reaction, where some lash adhesives contain formaldehyde, causing severe reaction over time. This can lead to crusting and oozing, as well as serve as a possible carcinogen. Eyelash loss. Yes, you could suffer from the very problem that you’re trying to avoid with use of eyelash extensions or falsies. The glue can pull out your natural lashes. There can also be madarosis, tugging at those short hairs, due to irritation. Beware conditions such as traction alopecia, too, which are possible with the excess tension places on the hair shaft and the ensuing damage to the hair follicle. 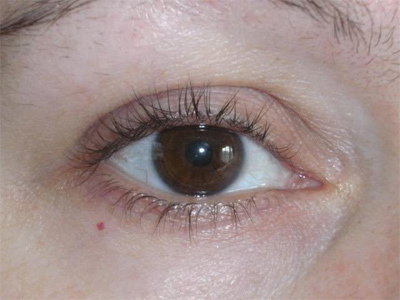 To stay on the safe side, you may use alternative lash enhancement techniques, including using a nourishing lash serum for daily maintenance and care. Over time, you may experience benefits ranging from lash volume and thickness to lengthening, with largely individual results.